Great for storing extra items, stacking boxes, seasonal items, and file storage. 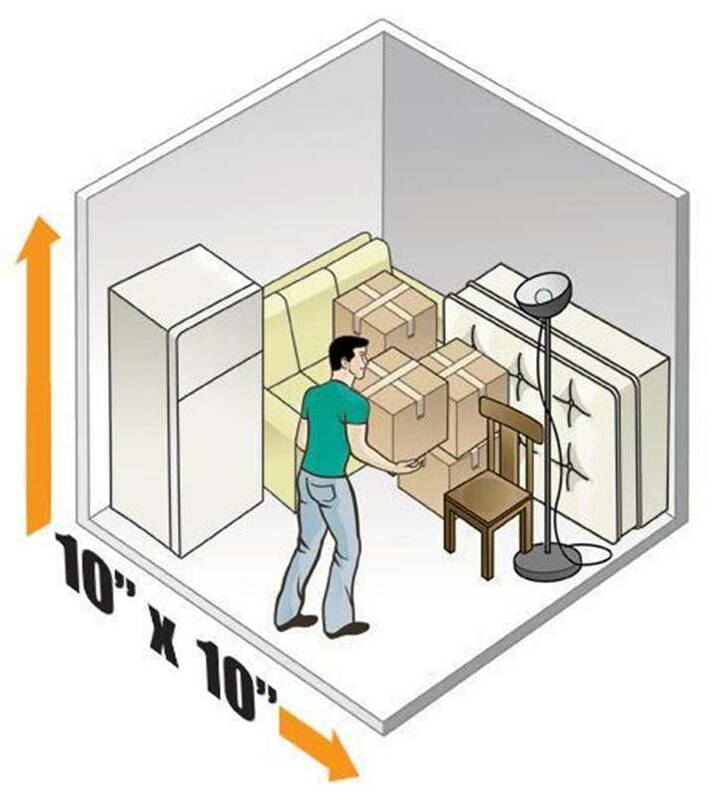 Fits the contents of a 1 bedroom apartment with limited appliances, extra boxes, and small items. Fits contents of a 1 to 2 bedroom apartment including appliances, plus boxes. This size is popular due to its equal width which makes room for extra-wide items or allowing for a walkway.